The bustling scene at The Pizitz Food Hall in Downtown Birmingham. Photo courtesy of The Pizitz. All eyes are on the food scene in Birmingham, Alabama, as it continues to attract culinary talents from all over the United States, including Food and Wine magazine, which transferred its headquarters from Manhattan last summer. What are the best places to get a taste of what's happening? We turned to our pal Akhtar Nawab to find out. 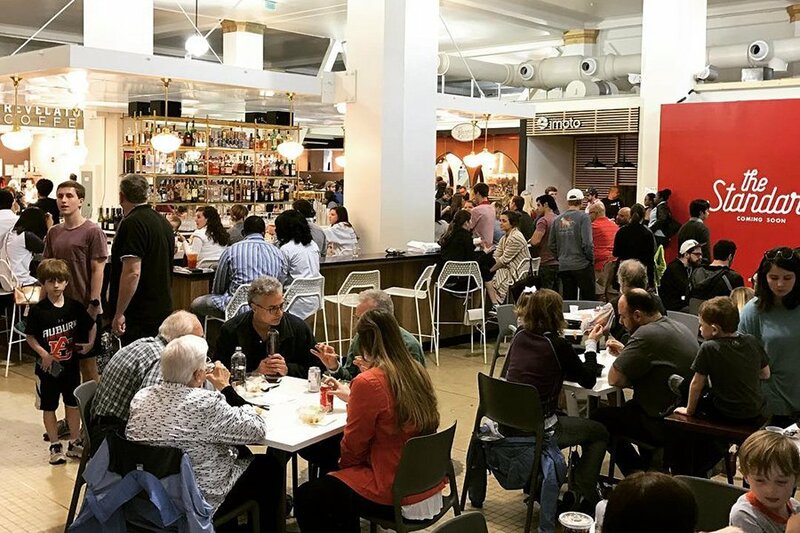 The chef and entrepreneur, who began his career at Gramercy Tavern and Craft, recently expanded his NYC empire ( restaurant in Brooklyn, multiple outposts, and the gourmet food delivery service ) south to the new Pizitz food hall in Downtown Birmingham. BIRMINGHAM, Alabama – When my business partner and I were approached about adding our fast-casual concept, , to , a new food hall under construction in Downtown Birmingham, I was excited. I instantly felt comfortable in Birmingham, as it reminds me so much of my home town, Louisville, Kentucky. Birmingham has a bustling food scene, and to research the market, we had to eat extensively around town. (Yes: a fun part of my job.) When we were offered a restaurant space next door to to the food hall, it all came together. Birmingham did not have a lot in the way of fresh pasta, but with my background at Gramercy Tavern and Craft, I had a solid foundation in Mediterranean cooking. Which is how we opened the Italian restaurant . Establishing a restaurant in Birmingham is very personal; it's almost one-on-one with every new customer. It’s thrilling to be part of a community that's on the verge of a dynamic culinary growth spurt. From coffee and biscuits to BBQ and beer, these are the local spots that I keep returning to. A great way to start off the morning is to head to Railroad Park for a run. It helps to clear my head and get ready for the day before it gets blistering hot. 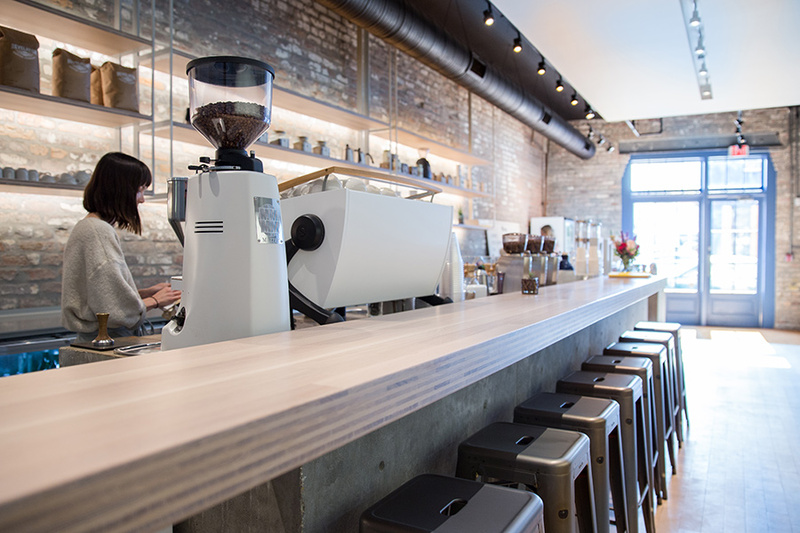 It's always a good time to have a coffee at Revelator Coffee. Photo courtesy of Revelator Coffee. During my first trip to Birmingham, a local friend took us to a small out-of-the-way place called Alabama Biscuit. I had no idea what to expect or order, as everything sounded great. I tried Mississippi Cheese Toast with sorghum, aged cheddar, and sea salt — and it blew my mind. Later, after I got to know the owners, I learned about the high-quality butter and sprouted flours they buy to create their biscuits. Excellent. I love the bright and open atmosphere, not to mention their flat-out great coffee. I order the almond milk latte for my morning jolt. I have a soft spot for Post Office Pies. Chef John Hall is fellow alum from Gramercy Tavern in NYC. But, all bias aside, this place exudes quality. If you’re in the area, it’s a must. A definitive BBQ joint in Alabama. The ribs are meaty and firm, with just the right amount of chew. The locals say, "ain't nothing like 'em nowhere,” and I would have to agree. Chef Nawab in action on the line at Fero. Photo by Cary Norton. Yes, it’s my restaurant, so I’m totally biased. But we recently debuted our new bar menu, and I am compelled to recommend the Alabama white BBQ duck wings. They are one of my favorites. We do much of our shopping for Fero at this greenmarket for the huge bounty of awesome produce that’s available every week. I’m still thinking about a recent batch of cherries and squash, the best I have ever had in the US! As a chef, most of my recommendations are food-heavy, but I have to share this spot because they have amazing ceramics. They offer a lot, but I’m particularly fond of their beautiful plates. For anyone with kids, this is a great family adventure. I can’t wait to bring my daughter Ela. Akhtar is a dad to Ela, a chef/restauranteur, and a bass player. 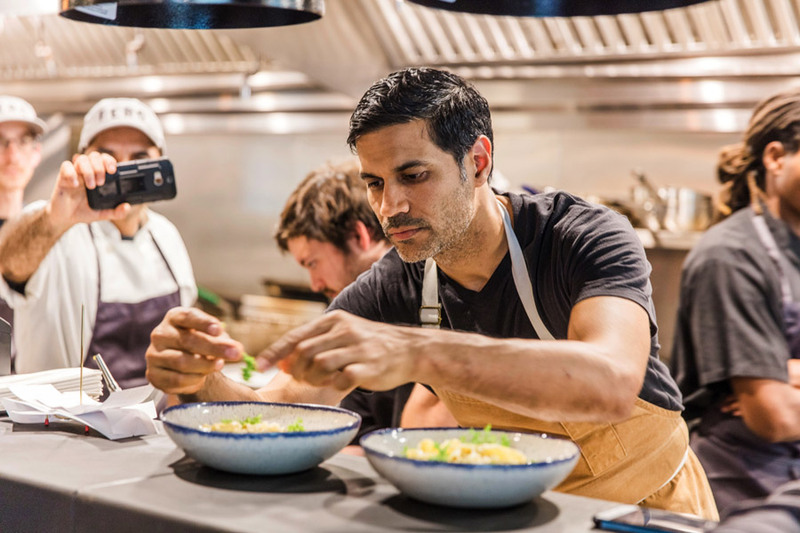 You can follow him at @chefakhtar, @Altacalidadbk, and @ferorestaurant. He travels for the food mostly, but also to satisfy his need to explore and see what’s next.